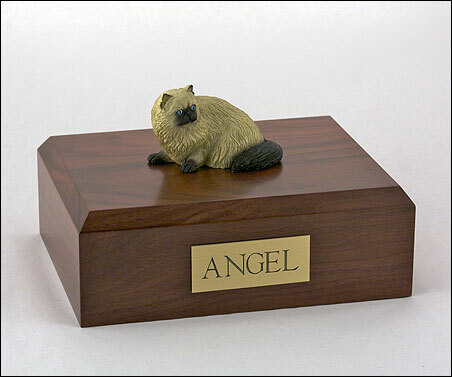 Our most popular urn is our Figurine Urn, made from solid hardwood. (Available in maple, oak, or walnut). 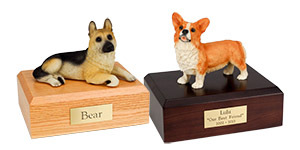 This urn offers you a choice of over 700 different purebred dog and cat figurines attached to our beautiful wood urn bases. This urn also includes your personal (4 line 100 character) inscription on a premium leaded brass nameplate. Pet's bagged ashes are installed through removable bottom which is secured with screws, providing tamper resistant protection.